Technology is both an indispensable tool and a blight to education, depending on who you ask. AltSchool educator David Rodriguez makes the case for videos as a powerful learning tool that supports student agency and open-walled educational experiences. There’s a fantasy about the unlimited access to knowledge the internet provides that goes something like this: If you give students internet access and leave them alone for three months, when you come back, you’ll find a space center and a solution to cold fission. The reality, of course, can be quite different. Kids don’t always use screen time productively, nor is learning from a computer ideal. However, under the right circumstances, students can make incredible gains from online lessons. Here are a few conditions that make that possible. Most students can agree that lectures are boring. However, if your emotional connection and passion for the topic is high enough, the mode of communication doesn’t matter. Case in point: I have a student who can barely stay awake in my class. When she’s awake, she is facing away from me, drawing. She is an absolutely incredible artist, entirely self-taught using YouTube videos. While watching the videos, she hangs on every word, alert and attentive. She can articulate hundreds of art terms and genres. Video lessons should be reserved for topics that students care passionately about. Their motivation to understand the topic will overcome the dryness of the medium. I once had the pleasure of watching two of my students build a complex city in Minecraft. They did it by opening two windows on their computer. 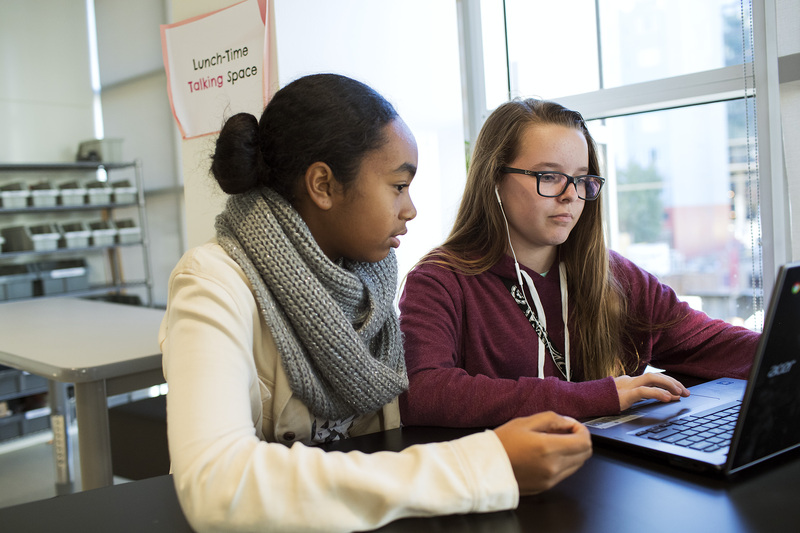 One contained the Minecraft game, and the other, a series of instructional videos that taught them how to install and use “certain mods.” As the students learned certain key points, they would switch over to the game and make adjustments to their city. By immediately putting the lessons from the video into action, they were able to internalize their learning and making lasting connections. Certain topics like video editing, drawing, and Minecraft modding lend themselves to action. Ideally, that action should occur as the student is engaged with the video, requiring continuous engagement, pausing and unpausing. Topics that don’t, like a history lecture, will require a teacher to be creative. Discover how technology amplifies goal-setting. In general, the shorter the video, the easier it will be to digest and the more time there will be for meaningful action and analysis. If the video is 20 minutes long, students won’t have time to properly interact with the content and will likely miss key points. Also, videos aren’t ideal for many learners so the content should be short enough that learners can view it multiple times without feeling pressured for time. Before choosing a video, consider whether the content is worth viewing multiple times. There is a balance to strike when it comes to screen time. We want to leverage the power of the internet but we also want students to be engaged and present in the real world. They can learn speaking by analyzing videos of Martin Luther King, Jr.; they can learn cooking from Julia Child; they can learn about art with a virtual tour of the Louvre. Videos can bring these important lessons to life in a way that a boring history lecture does not. There are an increasing number of lecture-style videos online that are tricked out with special effects and funny jokes—these are a no-brainer to use in the classroom, right? Not so much. Any student old enough to watch a lecture on World War II is old enough to watch a propaganda film from World War II and analyze fact and opinion. Or they can watch videos of speeches by Adolf Hitler and Winston Churchill to compare and contrast main ideas. The internet really can be the famed Magic School Bus where kids travel through time and space to learn. Don’t use it to drive to a different classroom.